Baycourt event manager Cheryl Smith and manager James Wilson with the community and arts centre’s Qualmark Gold Sustainable Tourism Business Award. 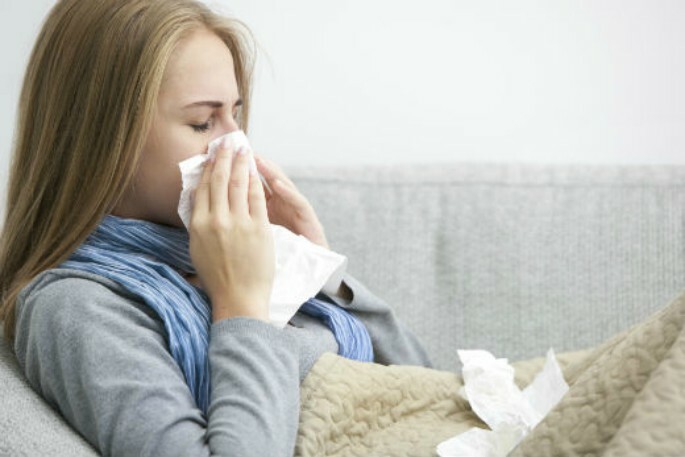 Supplied Photo. 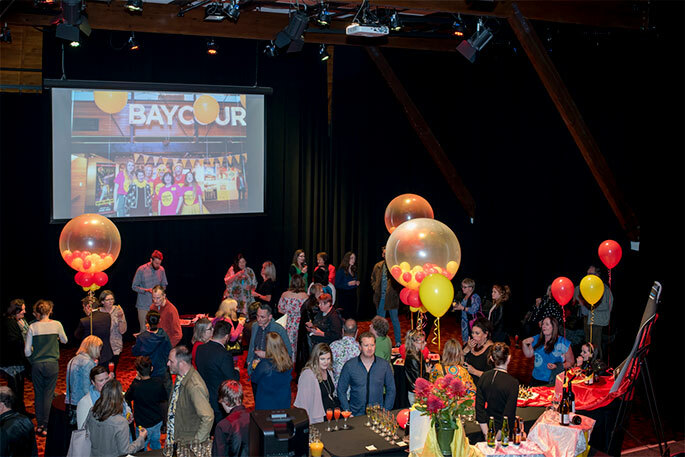 A focus on holistic and sustainable tourism business practices has proven to be worth its weight in gold for Baycourt Community & Arts Centre. 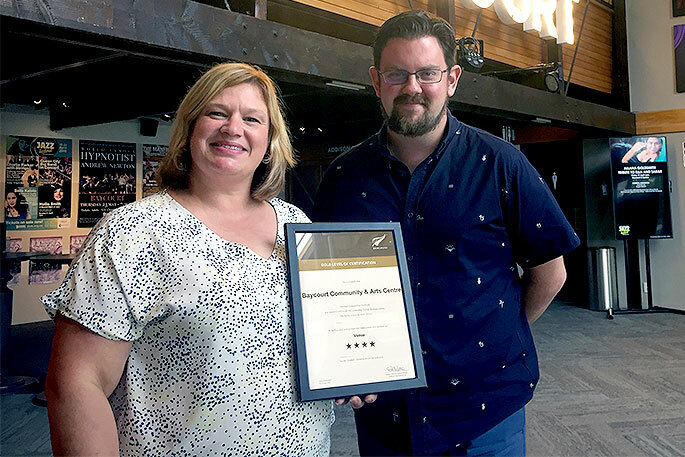 The Tauranga theatre achieved a Gold Sustainable Tourism Business Award from the New Zealand tourism industry’s official quality assurance organisation, Qualmark. The gold award identifies businesses that are leading the way in making New Zealand a world-class sustainable visitor destination. Baycourt manager James Wilson says Baycourt is now the only theatre in Aotearoa to have achieved gold status, and that the team is thrilled to receive the award. “It is a great endorsement of the fantastic work our staff do to make our visitors feel welcome at Baycourt. As part of Qualmark’s evaluation, Baycourt was assessed on 26 individual criteria across four key areas of sustainable tourism business practices: Economic, Environment, Social/People, and Health & Safety. Of the 26 criteria, Baycourt achieved either ‘Excellent Standard’ (23) or ‘Very Good’ (3) scores. For the ‘Social/People’ and ‘Healthy & Safety’ areas, Baycourt scored ‘Excellent Standard’ across the board. Qualmark also praised Baycourt for its commitment to the protection of the environment, efforts to engage with members of the community and local businesses, and the fostering of a “fantastic team culture” amongst staff. Baycourt Community and Arts Centre is now the only theatre in Aotearoa to have achieved a Qualmark Gold Sustainable Tourism Business Award. Photo: Brydie Photography. 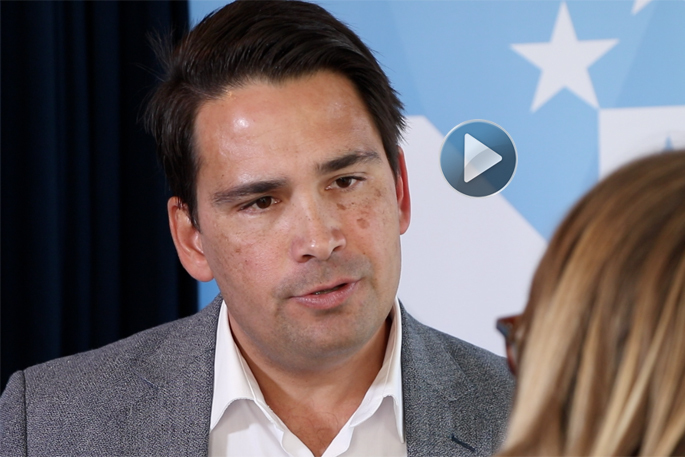 James says the Baycourt team is proud to be the venue of choice for so many artists and practitioners from across the New Zealand creative sector. 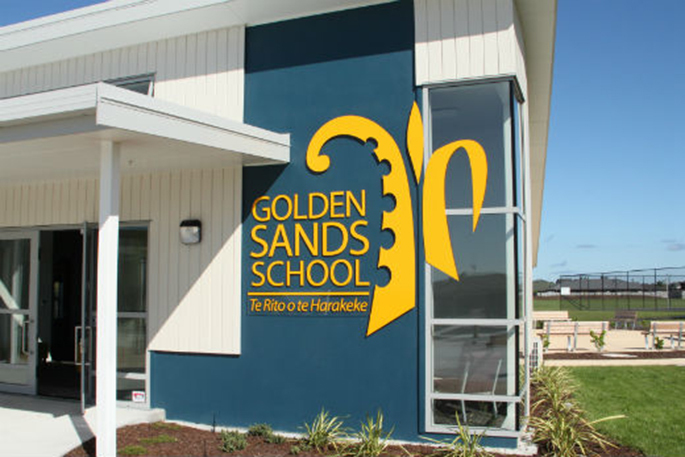 “Our location in the heart of the city centre means that the arts take centre stage in Tauranga. There is currently a real sense of energy and ambition in the CBD, with the opening of the new university campus and great new dining destinations close by. As part of the evaluation, Baycourt also retained its Qualmark 4 Star ranking which the theatre has held since 2013.